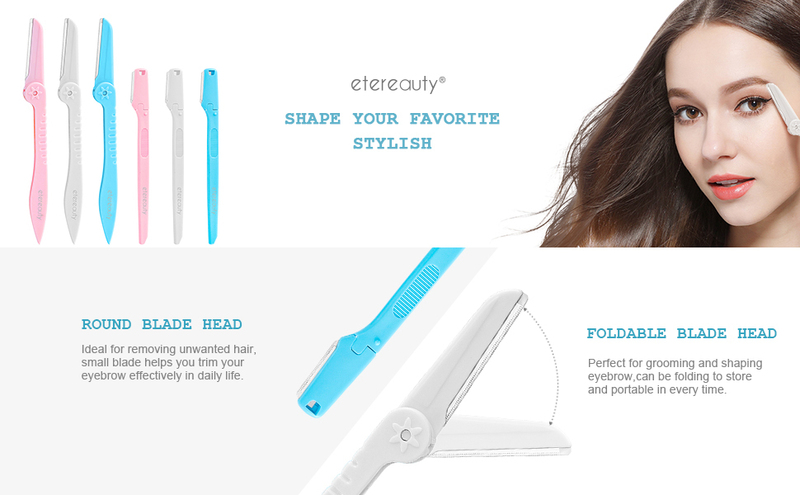 ETEREAUTY Eyebrow Razor is a great multipurpose beauty tool that expertly shape eyebrows and clean fine hair.Foldable blade head gives an incredibly precise shave.A blade safety cover is attached to each blade which enables protection of delicate skin and prevents the blade from cutting too close.The eyebrow shaper is made of high quality stainless steel and lightweight plastic, safe and convenient to use.3 x ETEREAUTY Folding Razor and 3 x ETEREAUTY Straight Razor are include. Are you still using depilatory cream from the drugstore? Are you using expensive laser hair removal? Or waxing/threading in a local beauty salon? Don’t want to endure pain and chemical damage to the skin? 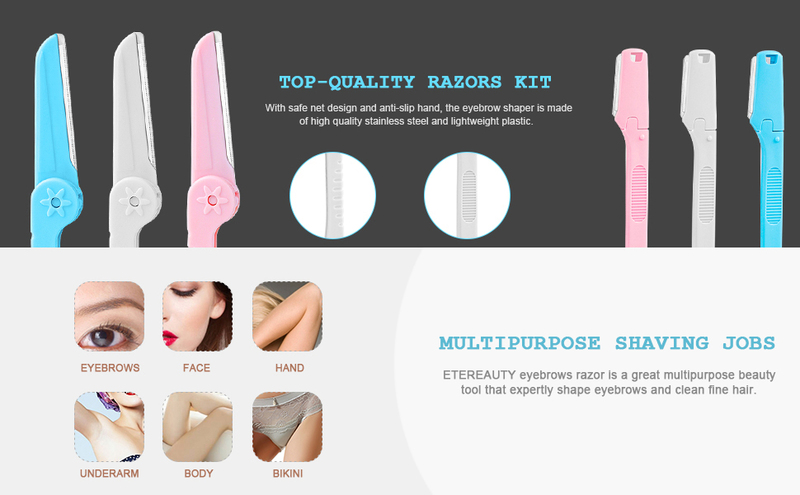 Try this folding multi-functional eyebrow razors!!! • Foldable blade head gives an incredibly precise shave. 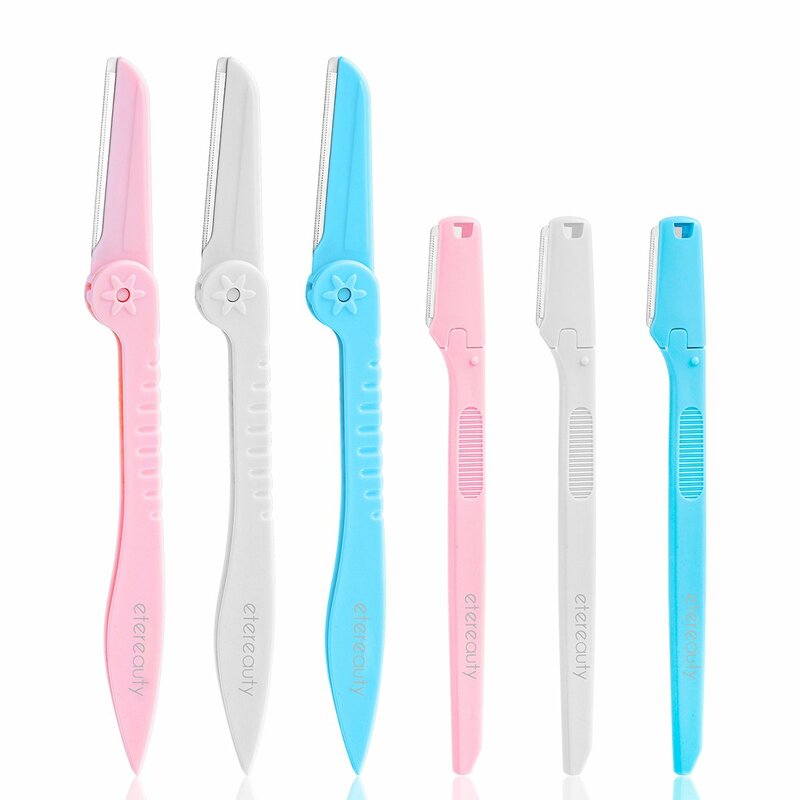 • A blade safety cover is attached to each blade which enables protection of delicate skin and prevents the blade from cutting too close. 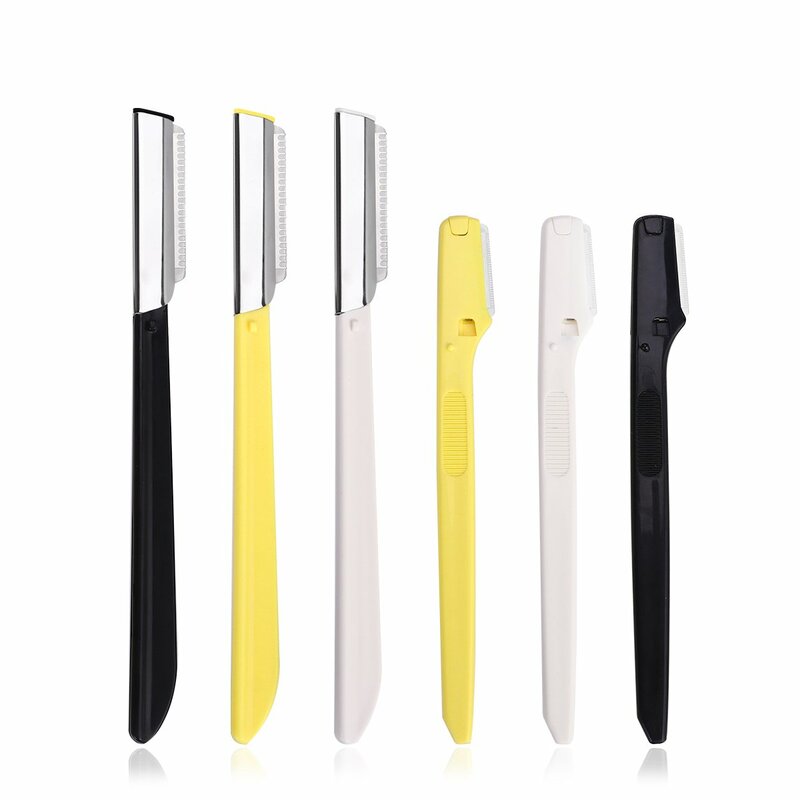 • The eyebrow shaper is made of high-quality stainless steel and lightweight plastic, safe and convenient to use. • Step 1. Remove the safety cap from the razor. • Step 3. Apply shaving cream if necessary.